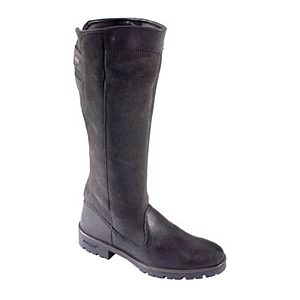 Dubarry Clare Boot Black from Agrigame UK Ltd.
Nationwide suppliers of game rearing equipment and country products. Equestrian style knee high boots that are the perfect footwear for women who want that extra stylish look, whether at the stables, walking in the countryside or shopping in town. These Dubarry waterproof leather boots look impeccable paired with a Dubarry tweed blazer or other country clothing. This knee-high, handcrafted, GORE-TEX® lined boot really is at home in the country or the city. Only one size 41 left in stock. Agrigame UK Ltd, Nationwide suppliers of game rearing equipment and country products.